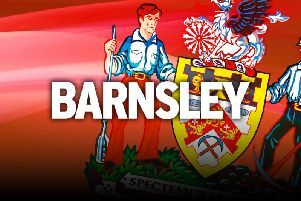 Barnsley boss Danny Wilson has been handed a welcome defensive boost ahead of this weekend’s home clash with Port Vale. Club captain Martin Cranie and Crystal Palace loan centre-back Peter Ramage are both expected to return to the Reds’ starting line-up in time for the visit of the Valiants to Oakwell. Cranie and Ramage have both been missing through injury, while Cranie has also had a family bereavement to cope with in recent weeks. “We’re hoping we have both of them [Martin and Peter] this weekend,” revealed Wilson. But Wilson was coy on a return to action for star striker Sam Winnall, despite the former Scunthorpe United marksman having said he will be fit for this Saturday’s League One match. “Sam is getting a lot closer, but the injury is such a concern that we don’t want to risk him being out for such a long time again,” said Wilson. Wilson still wants to add to his squad and is keen to extend the current loan deals for George Waring (Stoke City), Ben Pearson (Manchester United) and Alex Kiwomya (Chelsea). He added: “We’ve still got until Monday to see if we can bring players in, but I am looking to extend the loandeals of the players we’ve got at the club. Meanwhile, Wilson revealed that defender Reece Brown - younger brother of former England defender Wes - has been released from his contract by mutual consent. Brown signed a one-year deal with the Reds on July 31 last year. But the 23-year-old has struggled to cement a regular first-team place and has been released prior to the transfer window closing on Monday night at 11pm. “Reece has been allowed to look at other clubs, he’s left us now,” confirmed Wilson.